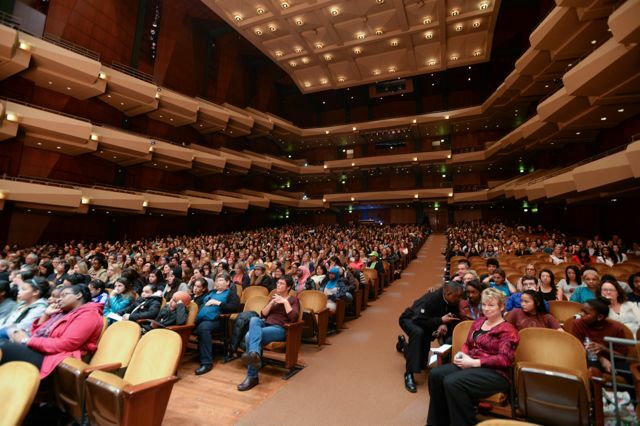 It was with great honor and excitement that I read my welcome letter to the girls at Benaroya Hall on February 7th. 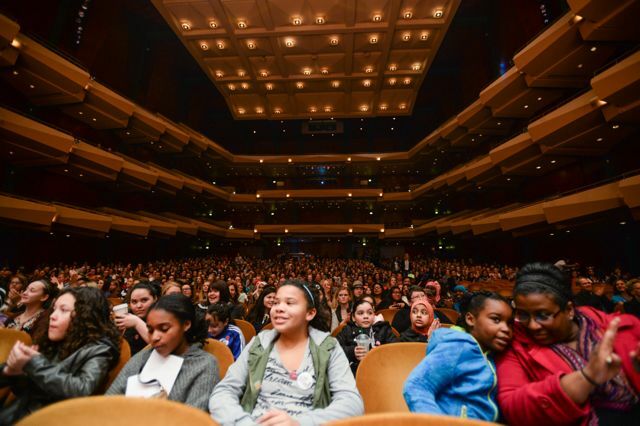 It was a full house, packed with a diverse group of 1,500 girls, parents, friends and supporters. Thank you everyone for coming and being Possibility Thinkers! 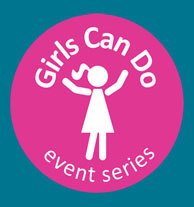 My name is Karen Clark Cole and I’m the founder of Girls Can Do. I’d like to thank each and every one of you for coming today and joining the Girls Can Do movement. I would personally like to thank my Dad. For being the solid rock of support and love throughout my life. The person who taught me to believe that anything is possible. I would also like to thank all of the men and boys who have come here today – in support of the women and girls around you. Today is a day I that have been looking forward to for months. 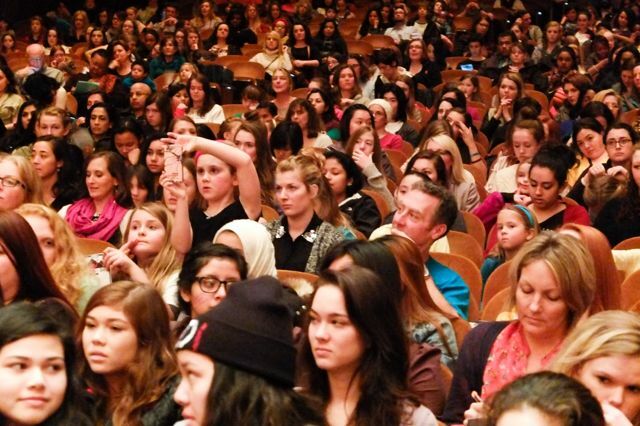 The first thing you should know is that today is not a girl’s empowerment event. All of you already have the power – you were born with it. It’s like when Belinda told Dorothy in the wizard of OZ that she always had the power to go home, she just needed to believe it – to believe in herself. Today is about believing in yourselves. Knowing that what you need to make your dreams come true is already right there inside you. I am amazed, humbled and inspired by the speakers we have for you today. They are possibility thinkers in every way. One woman was born into segregation in the South. Another’s parents lived through the Canadian Native residential schools, designed remove children from the influence of their families and culture. 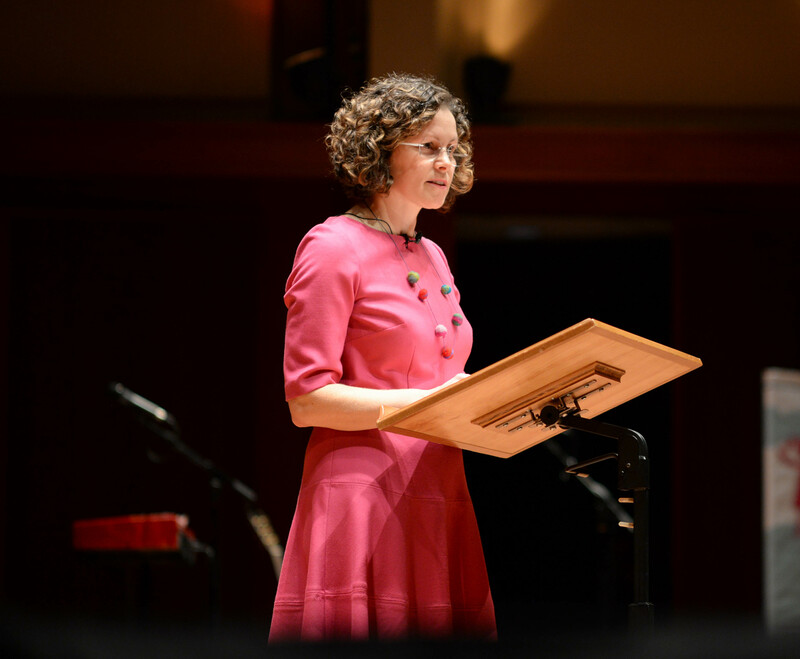 Another speaker attended 12 elementary schools by the end of 4th grade, bouncing from one family to another, while facing the challenges of knowing she was gay. Another women started a non-profit at age 11 – with her friends to help Rwandan girls after the genocide. She later found in high school that her support turned to bullying. Is that success does not come on a silver platter. We often hear about hard work, determination and strong-will, but there’s more to it than that. For many, there are obstacles, roadblocks, and seemly impossible beginnings. Lack of support, lack of money, lack of confidence and lack of love. These things however – are important ingredients in the recipe for building resilience. Each time you make it through one of these challenges, you’re stronger – and you can take more on. Slowly building your self-worth until you become unstoppable. Each time it gets harder and harder to knock you down, and each time, you get up faster. That’s what each of these women have done. They are not overnight sensations – they have spent their lives – long or short – building their success on a foundation of resilience. As they talk, look for their confidence. Watch how it comes out, and realize that you can have it too. Confidence is something you can grow. Confidence is the basis of great performance, and it comes from just one place: What we say to ourselves. Real conversations with yourself – adopting a positive mindset about what is possible. Maria in the Sound of Music sings about confidence early in the show when she is trying to convince herself that she has it. With each step I am more certain. They’ll have to agree I have confidence in me. Today, I encourage you to sit back and explore what is possible for you. Let your mind open up to your potential. Celebrate who you are and where you came from. Hear new ideas you never thought you would entertain. Listen carefully, and decide what’s right for you. Have the courage to be yourself, and see things with your own eyes and feel them with your own heart. are the creator your own future. As Russell Wilson’s father told the quarterback champion many years ago: Someone has to do it, why not you?